From Quartzsite, Arizona, I offer special greetings to all. For those who do not know, Quartzsite is located on Interstate-10, about thirty miles east of the Colorado River, which forms the border between California and Arizona. The first thing that comes to mind about Quartzsite is “Hot”. Although it is an RV boom-town in the winter, it is a “gas-stop” ghost town in the summer. With my coach’s air conditioning set in the mid-70s, it is usually a good place to catch up on sleep, while making the two-day journey between LA and Phoenix. However, since it is too hot to do construction work during the day, a local highway bridge-building project went on all night, just yards from my camping spot. Last night, it was a case of “earplugs to the rescue”. The founders of Quartzsite named it after a mineral for a reason. This part of the Arizona desert has many rock outcroppings that contain quartz crystals. In earlier days, “rock hounds” stripped the area of as much of the crystalline energy as they could find. Despite their avarice, the inaccessibility of many deposits leaves the mineral in abundance here. Over the years, there has been much controversy about the supposed healing properties of naturally occurring crystals. Since no one can prove it either way, it becomes an issue of belief, or disbelief, as the case may be. When I was ten, my parents bought me a radio-kit that used a quartz crystal as its receiver. In those days before transistor radios, a crystal set used no batteries at all. To make it work, I would take a “cat’s whisker” of wire and bend it until it touched the metal-encased crystal. One wire led from the bottom of the crystal’s metal cup and another wire ran from the cat’s whisker. Those two wires terminated at a small earpiece. After placing the earpiece in my ear, I would manipulate the touch point of the cat’s whisker on the crystal. With some practice, I could receive radio broadcasts from 710/KMPC, a “clear channel station” from North Hollywood. In those days, a “clear channel” meant that there was no other station sharing the same frequency for many thousands of miles. At night, when the Earth’s atmosphere was conducive to sending radio waves everywhere, one could hear KMPC from many areas of the desert southwest, maybe even here in Quartzsite. Better yet, I could also receive 1500/KBLA, which stood for “K-Burbank, Los Angeles”. Broadcasting from a tower at McCambridge Park in Burbank, 1500/KBLA competed with KHJ, KRLA and KFWB for the Top-40 AM radio audience in Los Angeles back in the 50’s and 60's. The station sounded great in the mid 60's with DJs like Bob Dayton, Emperor Bob Hudson, Dave Diamond, Humble Harve, Roger Christian & more. Before he achieved fame and fortune, Wolfman Jack was a DJ on the midnight to six AM show, spinning records by request. Advertisers on his show included El Monte Legion Stadium (“No Levi’s or Capri’s please… Guys wear ties. This Saturday night, hear Richie Valence live, singing his new hit tune, ‘Oh, Donna’”). Fans of the movie American Graffiti, staring Harrison Ford in an early role will recall that when the young people in the movie went cruising on Saturday nights, Wolfman Jack was always playing on their car radios. Many summer nights, my friend Paul and I would sit in our home-built, backyard clubhouse, each of us listening to the Wolfman on our own personal crystal sets. 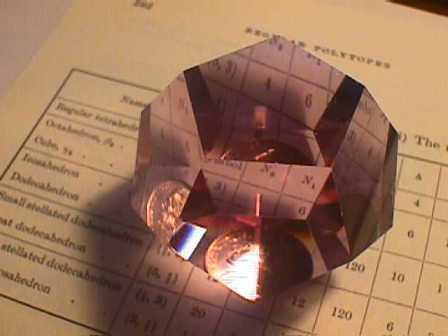 Does “crystal power” really exist? Sitting here in the “land of crystals”, I can say, “Yes; absolutely”. Whether it was the quartz crystal of my 1950’s crystal set, the crystal energy of Quartzsite, Arizona or the crystal amulet I wear around my neck, each has the power to focus our consciousness as we please. Crystals are ancient distillations of Earth energy, which allow us to go “forward” or “backward” in time, as we see fit.